Hillary Clinton went after the nation's richest residents in her nomination acceptance speech Thursday, saying they will have to start spreading more of their prosperity. "Wall Street, corporations, and the super-rich are going to start paying their fair share of taxes," she said at the Democratic National Convention in Philadelphia. "Not because we resent success. Because when more than 90% of the gains have gone to the Top 1%, that's where the money is." Other convention speakers cited that 90% statistic this week, and it was a regular line in Bernie Sanders' stump speeches when he was campaigning. But it's actually not true ... at least, not anymore. 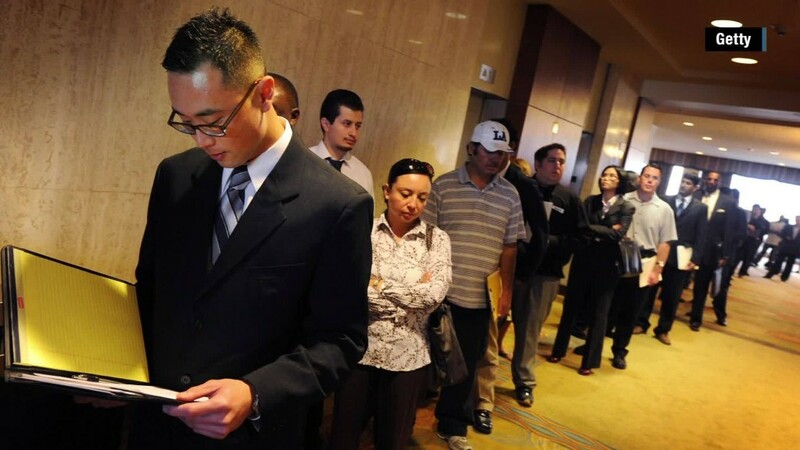 The Top 1% captured 52% of the income gains between 2009 and 2015, according to the latest data from Emmanuel Saez, a University of California, Berkeley economics professor who is a leader in the field of income inequality. The bottom 99%, who have seen their incomes grow more swiftly over the past two years, took home 48% of the gains. Clinton's figure comes from Saez's earlier research. It covers the period between 2009 and 2012, when the Top 1% captured 91% of the gains. But the income advances have been spread more evenly since then. "The recovery from the Great Recession now looks much less lopsided than in previous years," Saez wrote in his latest report. Saez is also cherry picking his figures. The average family income of the Top 1% hit a post-recession low of $992,892 in 2009, down from $1.56 million in 2007. While this group has certainly done well, it's income in 2015 had only returned to $1.36 million. The bottom 99% had an average income of $48,768 in 2015, down from $51,280 in 2007. 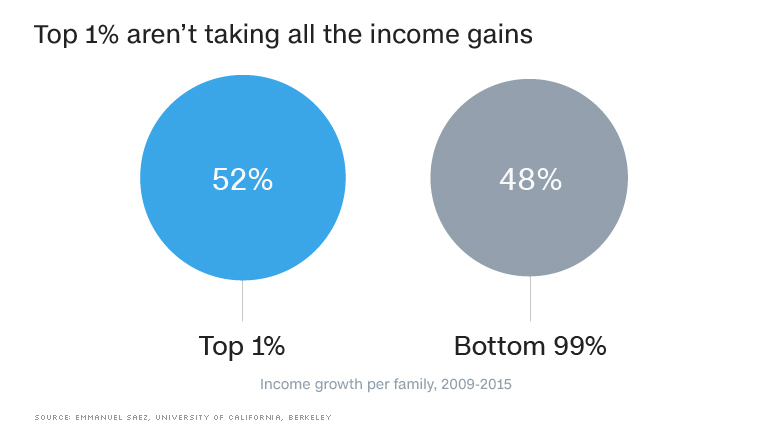 Looking between 2007 and 2015, the Top 1% has only captured 44% of the income gains.